YCN on rivington street london have started a library and kindly asked us at peepshow to add to their growing collection. 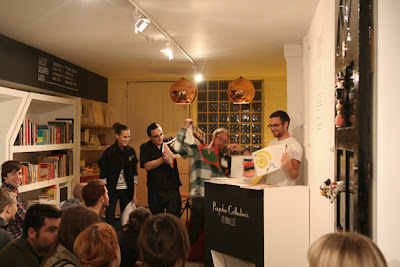 we presented the books last night, so a big thank you to those who came along, asked questions and had a beer. it was a pleasure.